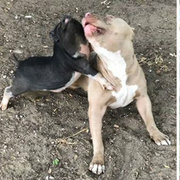 "Super friendly and loving and now refusing to leave the police car!" 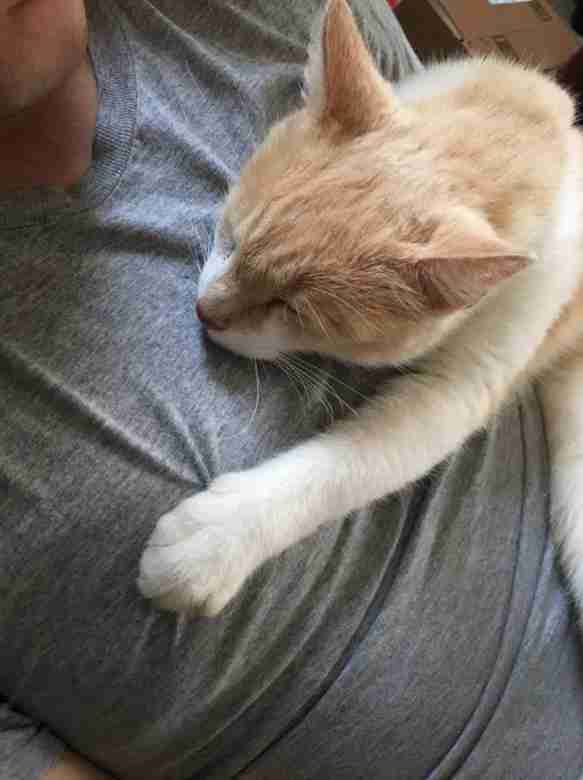 A wayward cat found just the person to get him the help he needed (and he wasn't about to take "no" for an answer). 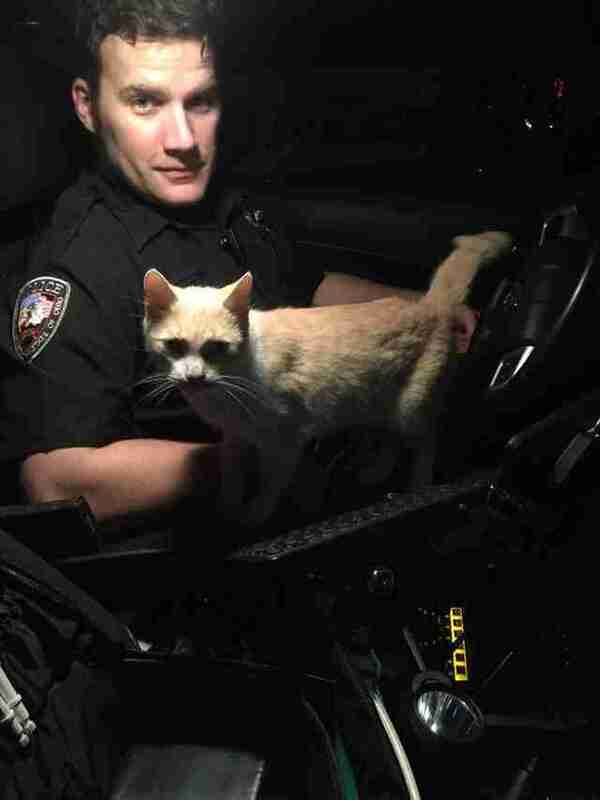 Officer Rick Butler, of Ohio's Oxford Police, had been out on patrol early Friday morning when he happened upon the random feline — by no choice of his own. 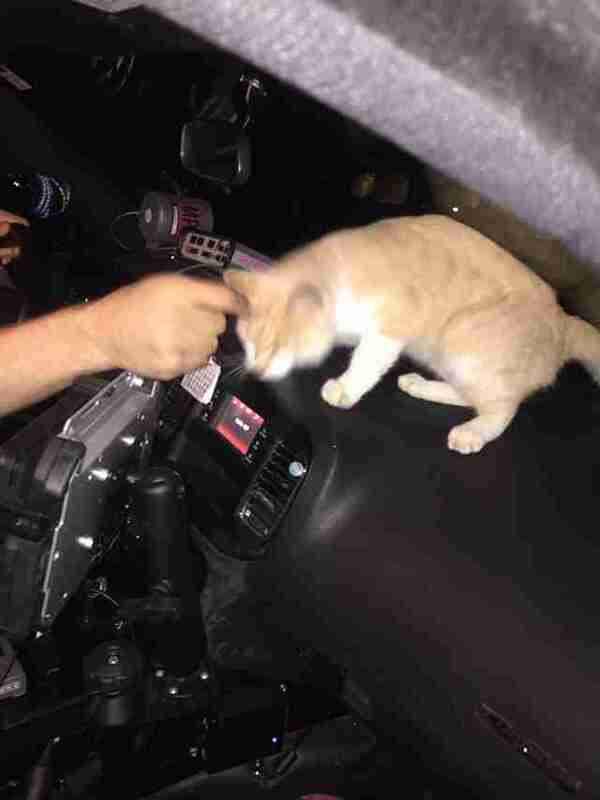 While the officer was stopping to check on a local church, the brazen orange cat reportedly leapt through the cruiser's open window. He then proceeded to demand attention and pets. Butler, of course, was happy to oblige. Butler might have thought it would be just a momentary encounter, but the cat evidently had something else in mind. Rather than slink away, having had his fill of the officer's affection, the kitty then staged a sit-in. 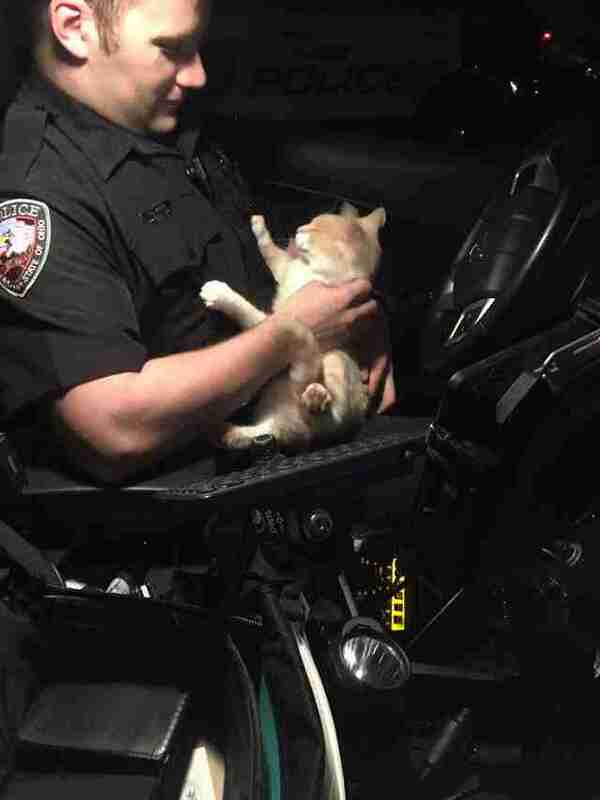 "[He's] super friendly and loving and now refusing to leave the police car!" the department reported. Was the cat being stubborn? Maybe. Did it pay off? Yes, yes it did. Butler confirmed to The Dodo that the cat is doing well and getting plenty of snuggles at home with him in the meantime. Folks with information about this cat, or anyone interested in adopting him, are asked to contact the Oxford, Ohio Division of Police.